Many startups are interested in investing in SEO, even though they are not sure as to the effectiveness of it for other—similar—businesses. We wanted to know more about SEO for startups and in we wanted to talk to someone that knows the in’s and out’s of search engines. 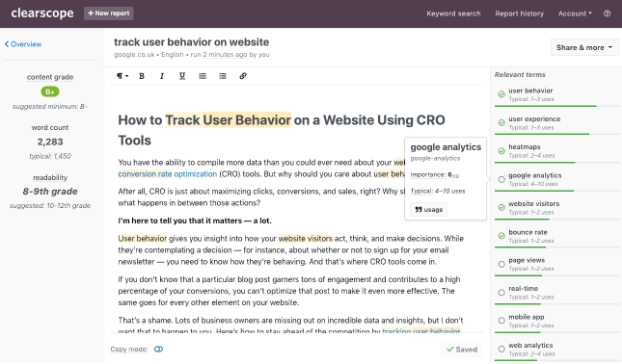 So, we interviewed Bernard Huang, Co-founder of Clearscope.io—an SEO tool that helps content teams drive more organic traffic through content. His answers were eye-opening for us. If you are interested in gaining an unfair SEO advantage, keep reading. Hey Bernard, first of all, we’d like to thank you for joining us and for finding the time to give us this interview. We’d like to know a few things about your professional background as well as what you’ve been up to these days as a Co-Founder for the Content and SEO tool Clearscope. Thank you for taking the time to host my interview at Growth Sandwich. I’ve always been fascinated with entrepreneurship my entire life. Back in college, I played online poker professionally and made ~$120,000. One of my friends convinced me that it would be a great idea to invest the money into franchising a restaurant (Dickey’s BBQ Pit), so that’s exactly what I did while I was still in college. Long story short, the restaurant went out of business in 13 months since I had no idea how to manage or communicate effectively. Well, at the time I had trouble owning the fact that the mistakes that were made were largely due to my lack of skills and experience. So I thought the problem was in doing a “brick & mortar” business and the right way to start up would be to move online. I taught myself how to code and built a few websites before getting accepted into a startup accelerator (Betaspring). Betaspring invested $20,000 in our fledgling startup and off we went building products. After two years, we ran out of money and momentum. In hindsight, we weren’t focused enough on seeking out “product-market-fit.” As a matter of fact, we never seriously considered how any of the “products” we were building would make money (business model)… or how many people would be interested in buying our product (market). At that point, I figured that instead of pointing fingers at other people or giving excuses on failure that my lack of experience was clearly the problem. I decided that the best way to learn how startups are done is to move to San Francisco and join a name brand startup. 42Floors was a YCombinator (YC) startup that was backed by tons of notable investors, and they decided to hire me as their “growth hacker” (back in the day when that was still a cool term). After experimenting with a wide variety of customer acquisition channels, we found that Search Engine Optimization (SEO) was our primary driver of growth. So I doubled down on learning SEO. After working for 42Floors for 1.5 years, I decided it was time to get back into the startup trenches. My current co-founder (Hang Su) and I decided to start a business around helping people get better at competitive gaming (GameRunners). We launched the service in 2015 and quickly realized that there was no way in hell we were going to make enough money to support ourselves. We had a business model that didn’t make much sense. We were operating as a 2-sided market (teacher & student) and taking a 10% cut of each paid coaching session. Most coaching sessions happened for ~$5 which meant our cut was $0.50 and afterward, the student and teacher would take the transaction off our platform (platform leakage). The “market” was mainly kids who wanted to get better at gaming. And kids have no money… which is okay for a tutoring service since parents are willing to pay. Even though competitive gaming is becoming a viable career, parents have a hard time stomaching paying to help their kids get better at playing games. As our bank account was slowly running dry, we were getting quite a few requests for SEO consulting. This came because the founding team at 42Floors kept getting requests via the YC community for SEO help and they kept referring me as someone folks should talk to. We had to pay the bills somehow so we decided to “pivot” the company into an SEO agency called Mushi Labs. Turning into an agency taught us what running an actual business meant. We had a market (companies seeking SEO help), a business model (charging per hour or by the engagement), and a product (our time and expertise). Also, running Mushi Labs gave us exposure to many different kinds of companies (DoorDash, Compass, Teespring) in practical business contexts. After working with dozens of companies on their SEO strategies and building a solid book of business, we decided it was time to revisit our original goal — to build a successful product company. Clearscope was born out of our own internal system of analyzing competitive content to give recommendations for clients. Funnily enough, getting Clearscope off the ground was quite difficult. Out of all the clients we worked with as an agency, we could only convince one of them to try out Clearscope. And they cancelled their subscription after a few months. I think there’s a big difference between folks who want to buy consulting services and folks that want to buy software-as-a-service (SaaS). My current belief is because people who buy consulting services want someone to do the work, while people who buy SaaS are the ones doing the job. Getting traction in the early days was a lot of reaching out to my existing network and asking for intros. We were ecstatic getting 1-2 customers per month and focused heavily on helping those customers actually succeed with Clearscope. Nowadays I’m proud to say that Clearscope has product-market-fit and serves hundreds of organizations like Adobe, Dropbox, and CreditKarma. For this interview, we’ll use an imaginary analytics startup named wickedmetrics.io, which offers collection and segmentation data solutions to eCommerce businesses. What is the first step that wickedmetrics.io should take, to craft their content strategy? Before getting started with content or SEO, you need to understand whether or not a company should invest in content or SEO. Good indicators that you can acquire customers via SEO are looking at whether your top competitors are driving organic traffic via their content strategies or whether you’ve found success via Google Adwords. If your competitors are driving much organic traffic and continuing to invest in content, then it’s a good sign that it’s valuable to their business. Which means it also will be valuable for your business. Assuming you are confident that content will be a strong driver of customers for your business, the next step is to validate whether SEO is valuable for your business. One of the biggest mistakes that we see companies make is deciding to invest in content that has a high likelihood of not producing results. You can quickly validate whether content will drive customers for your business by using Google Ads and bidding on the topics or keywords you think will drive customers. By bidding on these keywords on Google, you immediately can attribute search engine clicks to value. 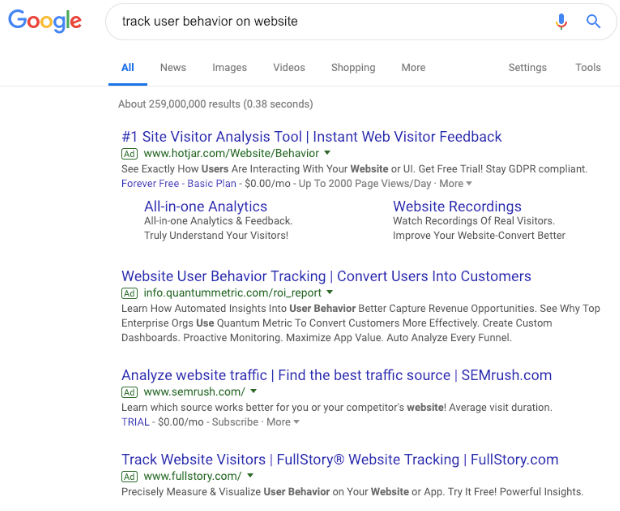 And assuming you set up conversion tracking, this immediately allows you to understand if you were to rank for this keyword organically how valuable it would be. When should wickedmetrics.io expect to see the first results from their content and SEO efforts? SEO is a classically misunderstood channel because Google’s algorithm is mostly a black box (no one really knows what’s going on). And that’s where SEO gets a bad reputation because lots of services providers and products run around selling solutions that may or may not work (“snake oil”). SEOs that tend to know what’s actually happening in SEO are the ones who run SEO experiments because they are validating and invalidating certain assumptions on this mysterious channel. 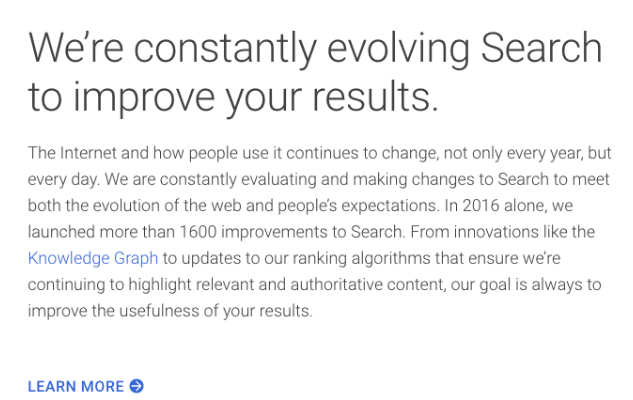 The fact that SEO is always changing as Google updates their algorithm means to stay relevant you have to continue this process at an ongoing basis. To give you an understanding of timelines, let’s take a step back and walk through what appears to be happening when a piece of content is published on the internet. WickedMetrics publishes a piece of content on the internet. If Google is to rank a piece of content, Google needs to find that the piece of content exists. Most web pages are by default “crawlable,” but it usually needs to be “linked” from someplace for Google’s bot (Google-bot) to find the content. 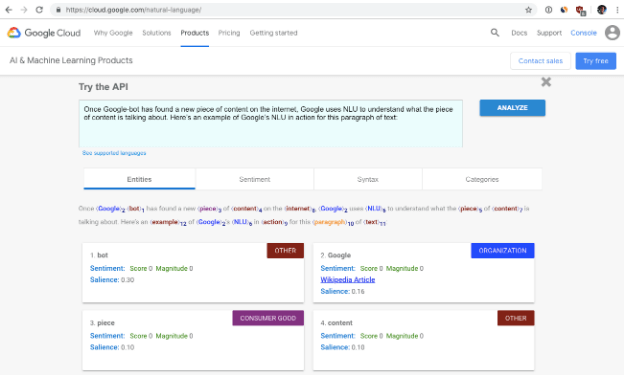 Once Google-bot has found a new piece of content on the internet, Google uses NLU to understand what the piece of content is talking about. After Google understands what your content could deserve to rank for, it “seeds” your content in their results for the entire range of keywords. “Seeding” is the process where Google gives your content an initial rank for the range of keywords your content is talking about depending on two factors (subject matter authority & content relevance). Subject matter authority refers to Google’s perception of how authoritative your web property is on a particular subject. 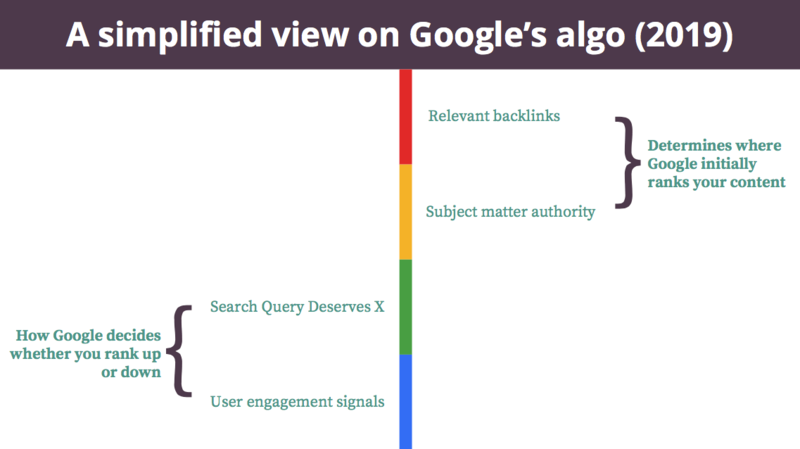 Subject matter authority is generally evaluated based on two criteria: the strength of relevant backlinks and the strength of existing content. The NY Times may have many backlinks, but they aren’t going to be that relevant given the following subcategories that the article is talking about (eg., Technology -> Tracking -> User Data -> SaaS). So Google might choose to rank the NY Times’ article as position 12-25 for the range of keywords the article is talking about. How long is someone staying on that content experience? 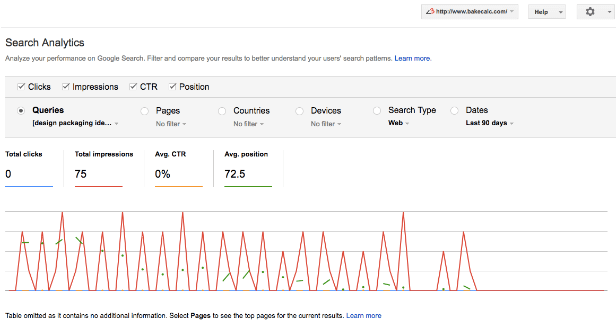 Are they coming back to the SERPs? And what happens when they do? Are they clicking on the next result? If they clicked on the next result, how long did they spend on that content experience? Did they come back to the SERPs again? Which means maybe result #2 should be served as result #1 in the future for the target keyword. Since Google is using user engagement metrics to determine what search results deserve to be the top ranking spots, then Google can figure out the overall “content quality” that your website appears to be producing. If on average, the content you produce engages Google’s searchers quite well, then you’ll increase Google’s willingness to rank your content in the search results faster. Which means Google knows that if you publish a piece of content on “tracking user behavior” that you should mention concepts like “GDPR,” “cookies,” “consent,” and “analytics.” If the piece of content is missing those concepts, Google won’t be as willing to rank your content high in their SERPs. We published a piece of content on one of our experimental websites (bakecalc.com) and Google used NLU to figure out that we could deserve to rank for the keyword [design packaging ideas]. 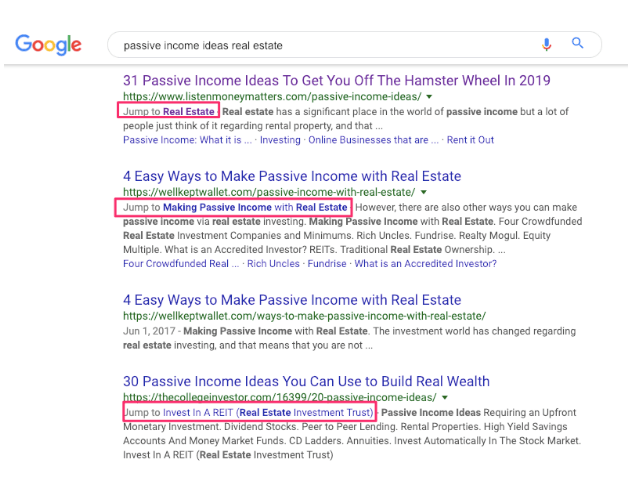 Google then tried our piece of content in their SERPs as position 25 (green lines/dots) and gave the part of content a few impressions (red spikes). No one clicked on the result at position 25, so Google keeps decreasing the position over time, still seeing if our content could rank for the keyword until Google gives up on ranking our content because no one is clicking on our content. Since WickedMetrics.io is just starting out, the website will have very little “subject matter authority” that’s been built up. So Google’s willingness to seed content that’s published on WickedMetrics will be quite low (e.g., rank 90-150). We’ve generally observed that to get results from a new domain, the timeline to ranking on the first page is usually 12-18 months. 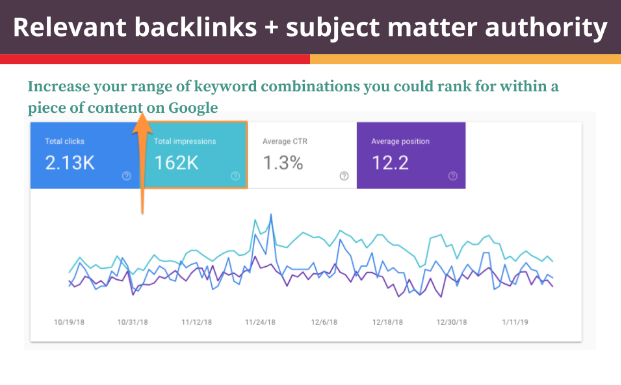 But, you can greatly influence the timeline by investing in building relevant backlinks, producing highly relevant content, and/ or being in an industry that’s not too competitive in organic search. In your opinion, what the future of content marketing and SEO might look like and what startup businesses should do to keep up with the changes? Content is king. As long as you’re always thinking about how to create the highest quality and most relevant content for searchers, you’ll be on top of the game. Content quality & relevance is everything. If your content isn’t helping the searcher find the answers to their problems, chances are it’s not going to rank on Google. Modern SEO tools like Clearscope are designed to help you understand what concepts are related to a given topic. Clearscope scrapes the top ranking content given a target topic and uses the two leaders in NLU (Google and IBM) to provide you with a list of relevant concepts surrounding a topic. Optimizely has used this approach to improve content quality on their blog posts and increase traffic by 52% in less than one month. Keeping the content you’ve already published relevant. The concept of refreshing existing content is an emerging best practice as society evolves, so do topics and keywords. If you run a credit card reviews website, you need to make sure that every time a bank issues a credit card that you review it and add it into your “best credit cards” article if it makes sense. Also, what [bitcoin] meant when it first came out in the mid-2010s is radically different from what [bitcoin] meant five years ago and today. Keeping content relevant and fresh is much work but instead of thinking about content as “we need to produce ten pieces per month,” think about whether you can go back to existing content and improve/ enhance it. Organizing the content you’re producing better. Google is getting much smarter about measuring user engagement signals. That means if you can design a content experience that’s better than your competitor’s content, you will win. 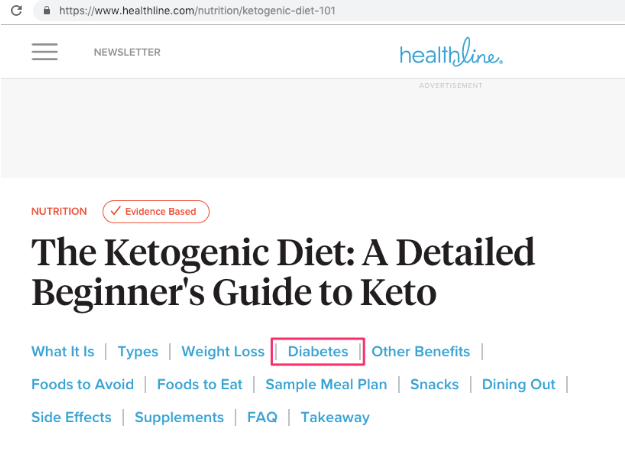 Healthline does a great job with the content organization by adding an “above the fold” table of contents that allows users to self-select their intent. For example, say you told me to check out the “keto diet” because I have Type 2 Diabetes. Which means I’m able to select “diabetes” as my intent and jump straight to that section within the article. This probably increases my engagement with this content experience since I’m reading the section that’s directly relevant to me. The other added benefit is that Google is deep linking searcher’s straight to specific subsections inside content. Forget about all the other stuff associated with SEO. Gaming Google with building backlinks is getting tougher and tougher. Google probably invests millions of dollars in keeping and enhancing its algorithm… and that’s not to mention their massive team of search quality evaluators who are manually going through websites to ensure that content is expertise-driven, authoritative, and trustworthy (EAT).